If you get knocked down off that horse, you should get back up and try to ride again. That's what Demon Pig Studios is doing with their Battledexx card game. The first Kickstarter wasn't quite so successful, so they cancelled it, regrouped, reconfigured, and have relaunched. 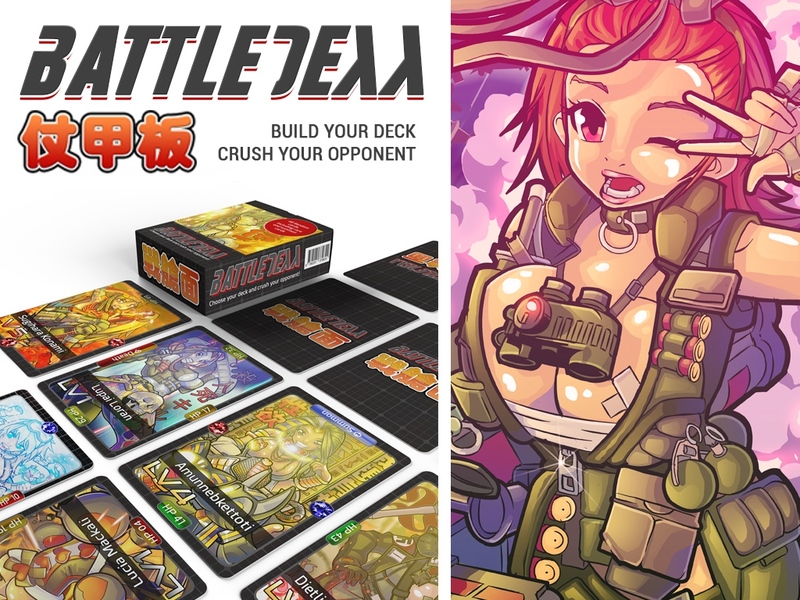 Battledexx is a strategy card game inspired from Triple Tryad (from FFVIII). This second campaign is doing better than the first. The are at about 50% funded with still 56 days to go. Note: Not saying that any of the images are really NSFW (obviously I have their image up there as the feature), but they are on the more "cheesecake" side of things.